As we approach the arbitrary chronological designation referred to as "New Year's Day," I thought it would be fitting to share this video I saw on Gizmodo. Tony Williams, a professional watchmaker, takes apart the hundred or more pieces in a Rolex Submariner watch. He then proceeds to put it all back together, piece-by-piece, in a time-lapse video. The intricacy of timepieces such as this one are astounding. Complex devices such as this are a testament to the creativity, technical ability, and mechanical genius of human beings. 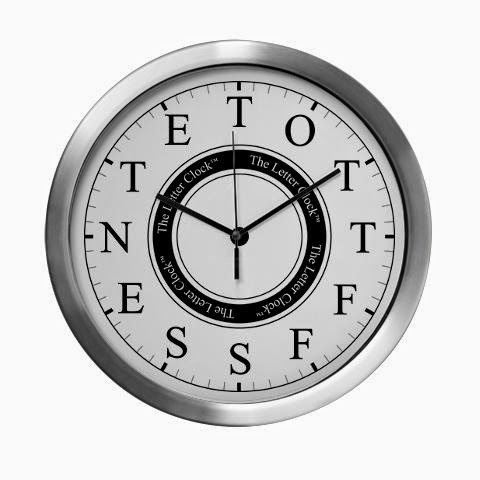 Even more wondrous is our desire and ability to measure time- an abstract, ethereal aspect of experience that we have tried to constrain into discrete segments. 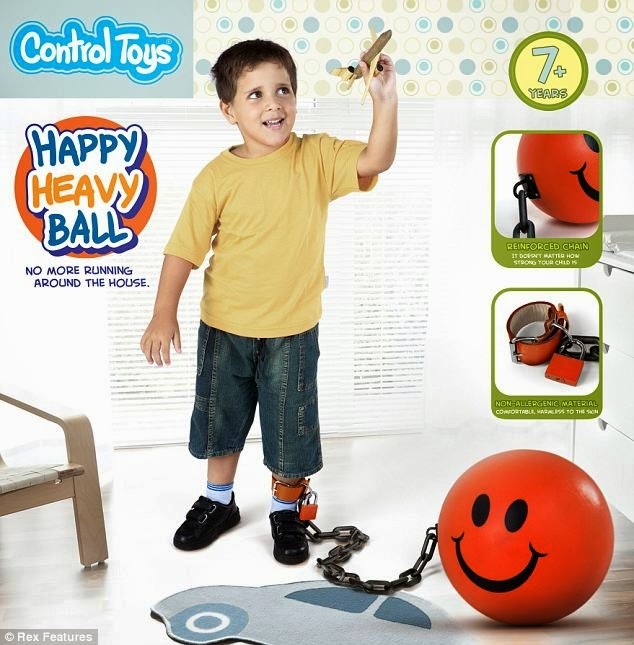 "Control Toys" were made up by the TV show Super Nanny. 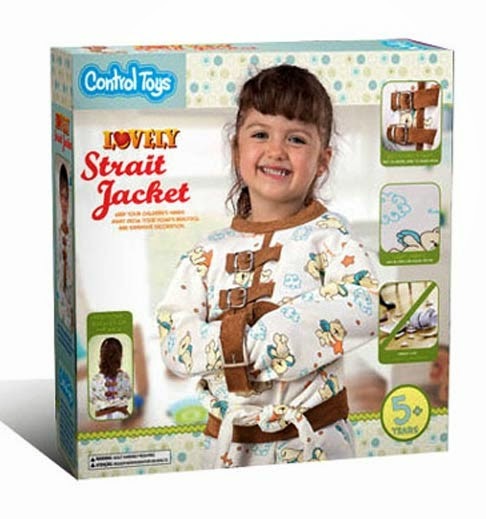 It was actually a viral campaign, in which mock-ups of these disturbing toy packages were placed on store shelves. 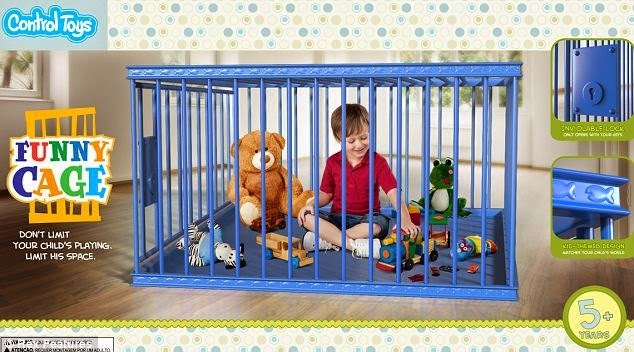 When the customer picked up one of the boxes, the back read “There are better ways to discipline your child." I've been watching The Colbert Report since the very first episode. Having already been a fan of the Daily Show, I was was eager to see what kind of humor Stephen Colbert would bring on a nightly basis. 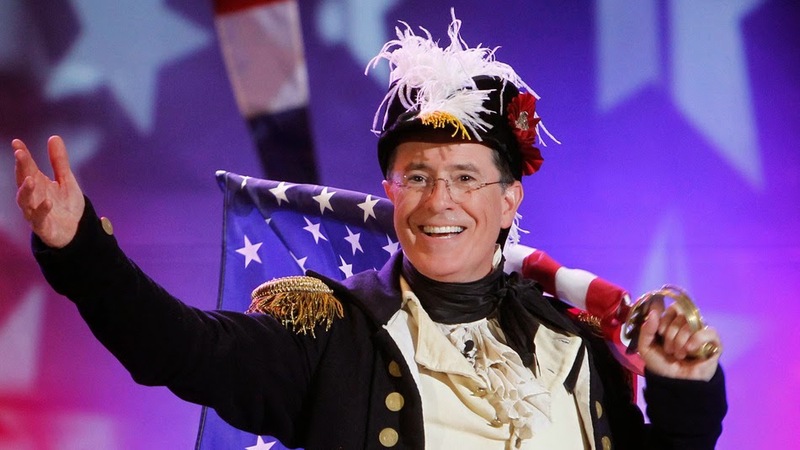 In many ways, Colbert surpassed Jon Stewart & his former gig at the Daily Show. The brilliance of his performance cannot be understated. Night after night, he has exposed the absurdities in our culture, politics, entertainment, & all aspects of our lives. Even though I didn't get to see actually see him there, one of the most interesting events of my life was "The Rally to Restore Sanity" that he and Stewart organized in Washington DC. The crowd was, by far, the biggest mass of human beings that I've ever encountered. My brother and I went with our friends and had a truly memorable time. Stephen Colbert is simply the greatest satirical mind of our generation. His spot-on parody of a self-absorbed, corporate boot-licking, blindly patriotic ignoramus was pure genius. His persona allowed him to openly mock the viewpoints of idiotic, right-wing blowhards who are so wrong about everything in the world- like Rush Limbaugh, Bill O'Reilly & America's stupidest pundit, Sean Hannity. What I give both Stewart & Colbert the most credit for is providing sanity through humor, amidst the madness and chaos of the world we live in. This was especially true during the Dark Ages of the Bush/Cheney presidency. All these conservatives who now think life under Obama is so terrible... they completely forget the constant horror the world faced while Dubya & his Dungeon Master caused havoc in America and around the globe. In this light, I believe Stephen Colbert's most historic contribution to comedy was his speech at the 2006 White House Correspondents Dinner. It was the ultimate example of speaking truth to power, and took giant balls of red, white, & blue steel. It was especially satisfying for those of us who deeply disagreed with Bush's policies at the time, yet risked being called 'anti-American' or 'terrorist sympathizers' for daring to speak out against the War Monkey and the morons who unquestioningly supported his regressive agenda. 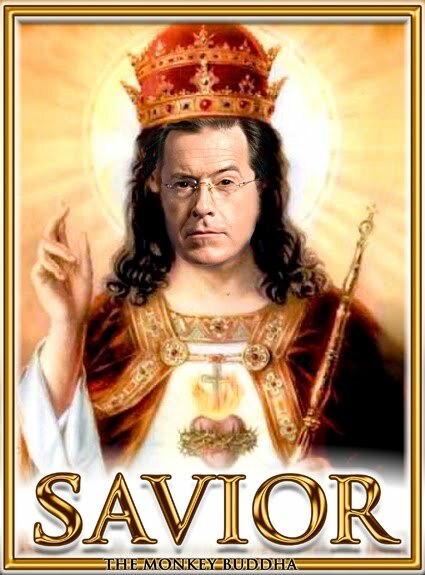 Thank you Stephen Colbert, for providing nightly laughs and comic relief to your Nation for almost a decade. One of my favorite subjects to post about is outer space. These are a couple of hypnotic animated GIFs I saw on FFFFOUND! showing the solar system in motion. This one shows the motions of the planets & moons in relation to each other, as they orbit the Sun. I'm not sure how accurate the relative motion of this animation is, but it's a more hyperdimensional view of the paths of the planets around the sun. I'm continuing my theme of video game posts, going back into the history of gaming. 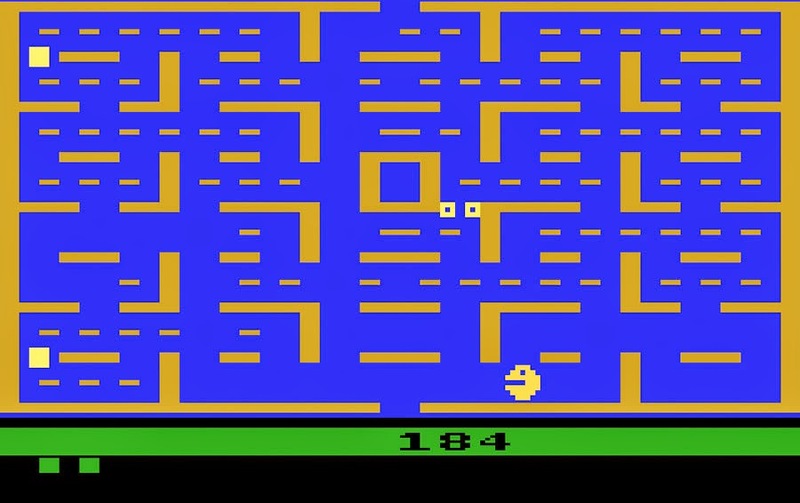 The Internet Archive has made available games from retro video game consoles, such as Atari 2600, Sega Master System, and Magnavox Odyssey- the first home console system. I actually hate playing retro games, I find them to be tedious and not fun at all. However, I think it's great that the software is being emulated & preserved for historical purposes. My first video game system was the Atari 2600. Even when I was a child, I knew that this was primitive technology and was slightly frustrated by its limitations. Since I've been posting about video games lately, I wanted to share a cool series of videos that I saw on BoingBoing. 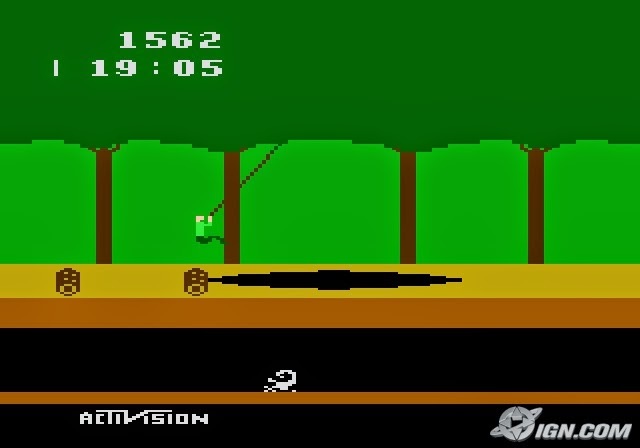 These informative & nostalgic videos trace the history of one of my favorite aspects of video games- the graphics. Although the game play & story are extremely important in making a quality video game, being a graphic artist makes me especially interested in the visual aspects of games. 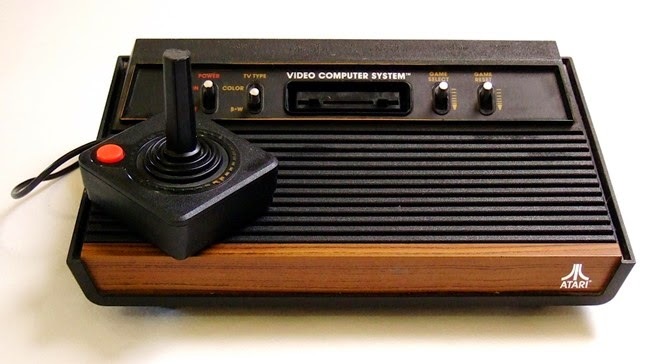 I was born in 1978, and my first game console was Atari 2600. Through the years my brothers & I had the Atari, Commodore 64, Nintendo NES, Sega Genesis, and the Sony Playstations. I've personally watched the evolution of gaming progress from using monochrome, blocky pixels to the photorealistic, immersive 3D graphics we see today. In fact, I feel like my life has progressed in parallel to the development of video game technology. As new systems (including virtual reality interfaces like Oculus Rift) are developed, we will be opening new possibilities of what the human mind can experience. The distinction between the "real" world and digital worlds will continue to be merged. People will keep exploring new ways for our nervous system to interface with the infinite possibilities that arise from the realms of our imagination. Since my last post was about a video game that I played, it seems appropriate to pay respects to one of the people who made it possible for myself & the entire world. 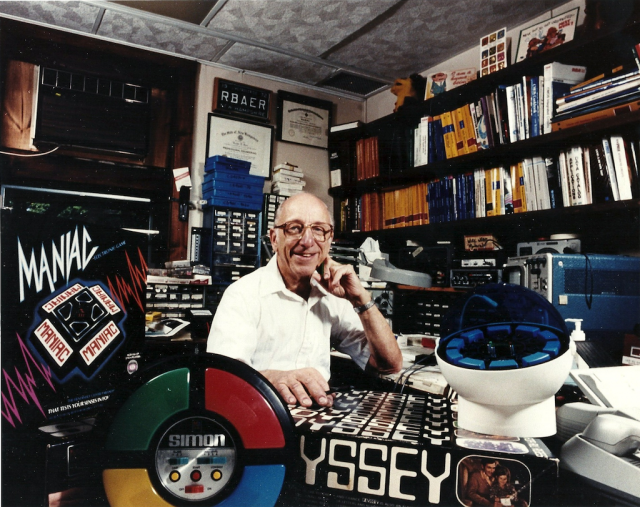 Ralph H. Baer was the inventor of the Magnavox Odyssey, the first home video game system. Before Baer's conception of an electronic "game box", video games were confined to public arcades. Thanks to his inventions & efforts, we have the sophisticated game systems today that are high definition virtual realities. These detailed, immersive digital creations evolved from the simple 2D pixel representations used in these first game consoles. 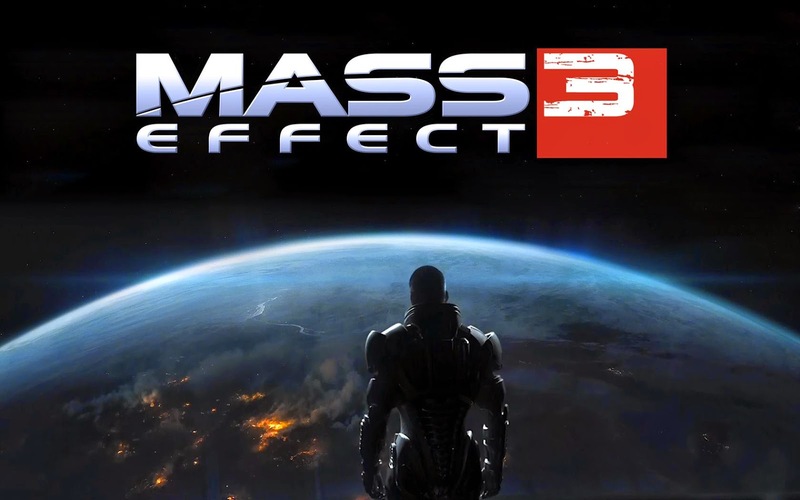 I just finished Mass Effect 3, the final installment in what has become my one of my favorite video game series. I've also played Mass Effect 2, but didn't write a review for it. Most of the good things I had to say about the first game apply to the whole series. However, I've been so blown away by the Mass Effect games that I wanted to write my thoughts after finishing the trilogy. • What is humanity's place in the cosmic order? What role does the individual play in this order? • Is it possible for ANY form of intelligence, or even information, to survive the incomprehensibly vast cycles of cosmological time, on the scale of billions of years? Mass Effect takes place in the future, after 2147 CE, when humanity has found alien devices & "Element Zero" in our solar system. These artifacts allow us to develop FTL (Faster Than Light) Travel. The subsequent discovery that Pluto's moon, Charon, is actually a "Mass Effect" Relay allows humanity to instantaneously travel to other Relays throughout the galaxy. A vibrant galactic civilization already exists, with a 45km-long space station, called The Citadel, acting as its capital. All advanced alien races are represented here, and after the events of the first two games, humanity has become a major force in galactic affairs. Your character is Commander Shepard, and you can carry over your character's traits from previous games' save information. Humanity's high standing in the galaxy is, in part, due to the earlier actions of Shepard- most notably fending off an attack on The Citadel by a Reaper. 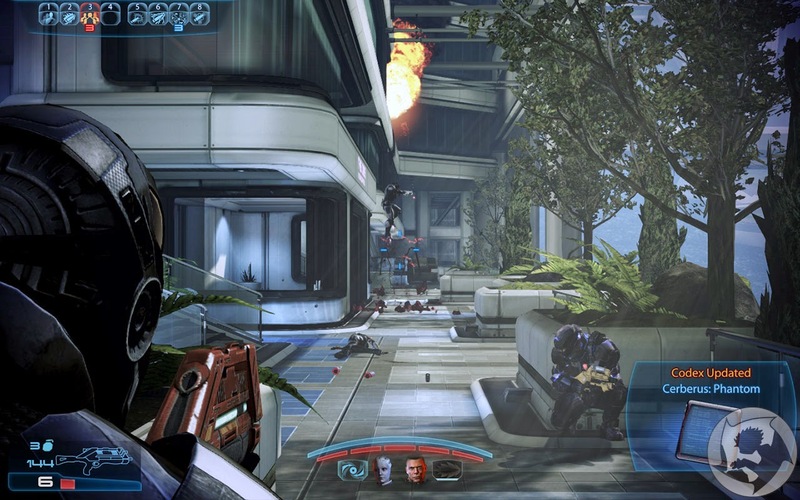 The Reapers are central to the Mass Effect series. Tens of thousands of these gigantic, conscious machine creatures come out of deep space every 50,000 years to "harvest" sentient organic life, for their genetic information. It is a mysterious cycle that has gone on for at least a billion years and was initiated by an "Intelligence" that's even older than the Reapers. It turns out this seemingly destructive cycle is actually meant to preserve life, since any advanced biological species will eventually create synthetic Artificial Intelligence (A.I.) that inevitably wipes out all organic beings. The "Intelligence" sees this cyclical harvesting as a way to maintain order and allow new species to evolve. It is revealed that the Mass Effect Relays and the Citadel itself are actually part of an elaborate trap, developed by the Reapers to accelerate the harvesting process of sentient beings and make it more efficient. In this game, the merciless Reapers have arrived, landing on the home planets of the advance species throughout the galaxy, including Earth. 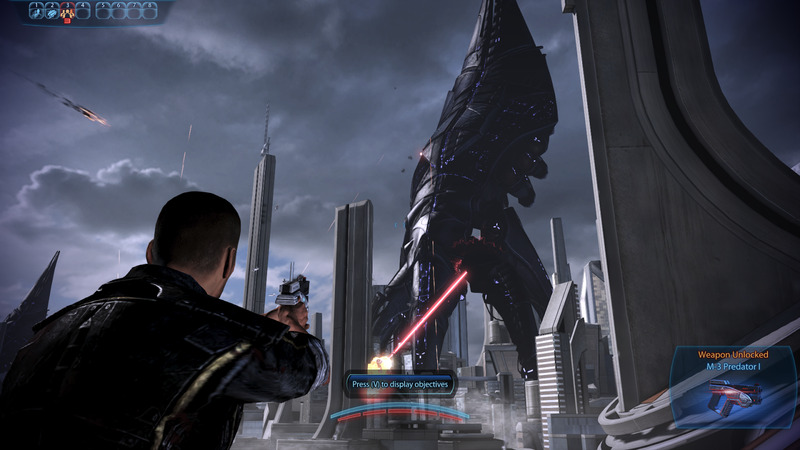 The game starts with an awesome sequence in Vancouver, Canada, where imposing Reapers, taller than skyscrapers, are completely annihilating the city. This is the threat you face from the very beginning, and gives a sense of enormity that such an existential threat would pose to us. In addition to the numerous & varied enemies throughout the game, you actually get to face down a few Reapers in different situations. The planets and alien races are fantastic, yet convincing. The number and uniqueness of the locations throughout the galaxy made it endlessly visually interesting. Although you can no longer land on & explore planets as side missions, I'm glad that the act of scanning planets for resources was made much less tedious than in ME2. 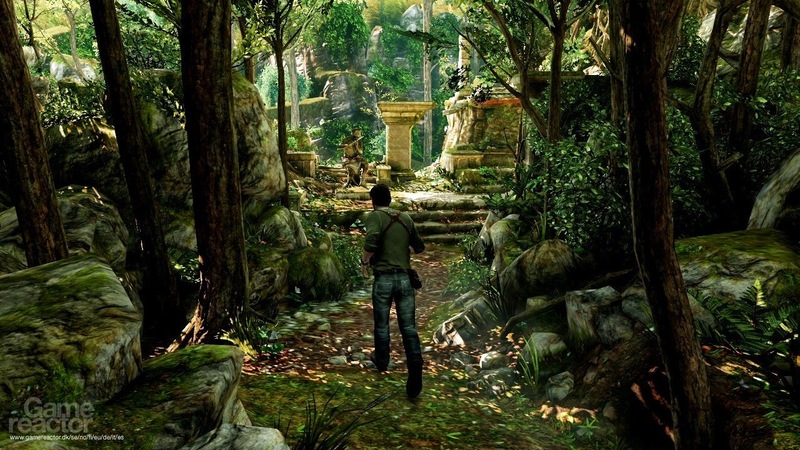 As far as the actual gameplay, there's a perfect balance of customization, role-playing elements, and intense combat. The RPG aspects of the game include dialog options, morality choices, and engaging characters. The combat is excellent, with the ability to use five weapons and a half-dozen powers. The weapon variety and the ability to freeze the action to switch weapons on the fly don't interfere with the intensity of the battles. I chose to be in an Adept class, so my character had biotic powers that were effective and fun to use, such as- • the ability to project a destructive warp field • launching a shockwave that throws enemies in the air • creating a mini black hole, a singularity, that holds enemies. The ability to also coordinate your teammates' powers with your own attacks makes the combat much more strategic. Overall, I was engaged the whole time and couldn't wait to see what the next mission or story sequence would bring. Games like this are such monumental creations, and why I still play critically acclaimed titles such as this one. Even though I've played video games my whole life, I am still awestruck by the technical achievement as much as the game play. It's pretty common for me to just wander around an area, observing visual details and marveling at the artistry behind the level design. One of the very few reasons I can't give it a 10 is because the game's ending left me unimpressed. I picked the ending where Shepard can take control of The Reapers, using technology developed by an ancient race. I thought there should have been a more cinematic finale, with more impact for the end of such an action-packed story. Despite my slight disappointment with the ending, the rest of the game was so superb & awe-inspiring that it didn't diminish my overall view of a great game and a undeniably epic series. Recently, I have been dwelling on the topics of the cosmos and space travel. Perhaps it's because I'm currently playing Mass Effect 3, a video game that explores mankind's place in the galaxy. Even so, I've always been interested in the Universe and the future of humanity among the stars. 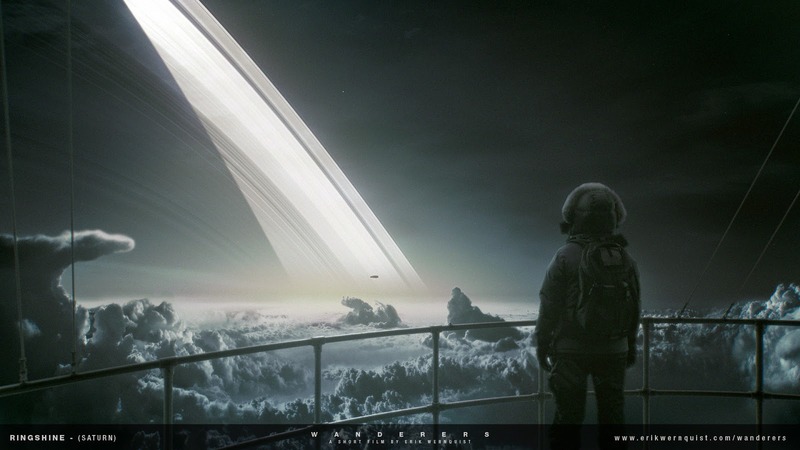 I saw this short film by Erik Wernquist (narrated by the late Carl Sagan), that is a inspiring depiction of human beings as we venture out into the solar system & beyond. From low gravity base jumping, to asteroid mining, to space station colonies, there is a lot of visionary material in this video that illustrates the possibilities for our migration through outer space. I'd recommend clicking the link & watching it full screen. I've seen this diagram by Paul Baran on FFFFOUND! & it always catches my eye. I think that connectivity is a key element of the Universe. The spiritual idea that "everything is connected" is literally true. Digital technology, especially the Internet, have greatly increased our ability to connect on a global scale. Television, both broadcast & cable, can be seen as a centralized medium. There is a central television station or cable provider that controls all the content. The Internet, on the other hand, is decentralized. Each computer is a node that can connect to other nodes through ISPs (Internet Service Providers). The future of digital media & the Internet is in distributed networks. Each device or node in the network will be independent, and capable of directly connecting to any & all of the nodes in the network. We have see distributed networking emerging already, in situations where the government or some other authority tries to shut down Internet connections. One recent example of decentralized, but vulnerable, Internet connectivity being replaced by distributive networking is the protests that have take place in Hong Kong. I don't think anyone can predict the full implications of an Internet that consists of distributive networking. It will greatly diminish the power of centralized power structures, such as media conglomerates and nation-state governments. Perhaps it will lead to truly democratic societies, in which everyone is an independent, but crucial, element in a fully interconnected network.